After spending this past weekend using almost nothing but the Essential Phone, I’m not even close to kidding with that title. Essential doesn’t need to change much on the upcoming 2nd generation Essential Phone if it wants to make one of the best phones of 2018. And in my opinion, a couple of tweaks to a specific couple of areas could easily get us to crown it the best of them all. Before we get there, though, let’s refresh what’s wrong with the current Essential Phone. Because after all, we can’t improve without acknowledging flaws, right? It’s camera is…bad. OK, it has improved, thanks to a dozen software updates, but it is no where near as good as Google’s or Samsung’s or Apple’s cameras. In good light, it does it’s thing acceptably, and in poor lighting or indoors, it typically embarrasses itself. Essential admitted as much over the weekend, vowing to change that in the next phone. Not only is the camera bad, but there has been this frustrating combination of software jitters and touch latency problems from the beginning. Essential claims that they have fixed some of the jitters, but the touch latency issues have never gone away. What I’m talking about is a failure of the phone to recognize that you are touching it, often with the first touch. From there, it’s fine for the most part, although it never quite seems to precisely recognize a scroll or touch like other phones. Something is off here, whether it’s a component issue or software-related, it needs to be a major focus for the next device. Finally…actually, that’s pretty much it. The Essential Phone has two major flaws: a combo-issue between performance and the display, as well as a less-than-stellar camera. I think some would toss out cellular connectivity issues too (Verizon connectivity was not good for a long time), I just haven’t experienced them on any major level. And so that brings us back around to why the 2nd Essential Phone could be the king. If Essential fixes whatever the hell is wrong with the display from the 1st phone (and I’m assuming they will and have realized what they did wrong) and then spends as much time as they can on the new phone’s camera, the rest is already done for them. That’s a good thing because the rest has been up there with the best in the business from the beginning. 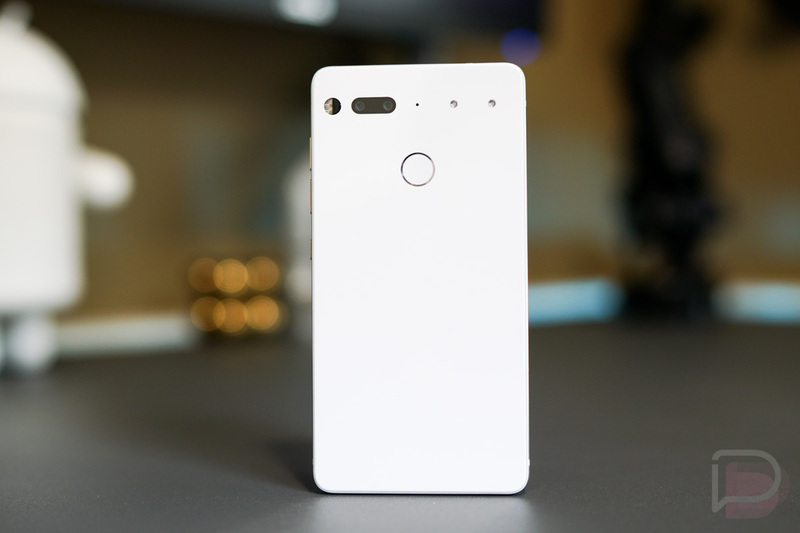 I’ve reviewed and re-reviewed the Essential Phone a couple of times at this point. Each time, I walk away frustrated at the same couple of issues and take a break, yet then find myself coming back for another taste, just like I did this past weekend as if it has some sort of magical elixir I can’t get enough of. What keeps bringing me back? Everything I look for in a smartphone, that’s what. 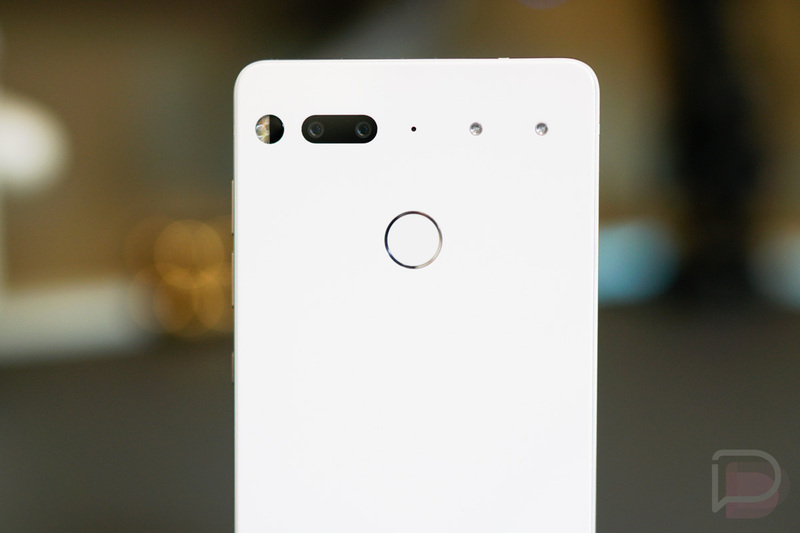 The Essential Phone still has the best hardware in the business. It’s design is striking and different as a notch pioneer. The materials (titanium and ceramic) used here present one of the most premium feeling phones around, without the fragility of Samsung’s Galaxy S9 or the plastic cheapness of the Pixel 2 XL. It’s the perfect size for a phone too, with its body that is dramatically shorter than the smaller Galaxy S9 phone, with almost the exact display size. I even prefer its squared off edges to the overly curved, not-wide-enough S9. Of course, you can’t mention the Essential Phone without talking about Essential’s track record in software updates. They are almost as good as Google is at updating their phones. Some months, they even manage to push out monthly security patches before Google has, if you can believe that. They also updated to Android 8.1, a version everyone else in the industry skipped, and will probably release Android P in stable as soon as they are allowed to. Not only that, but Essential ships clean, stock Android that you get to customize to your liking, rather than have peel away all of the fluff you probably don’t need. It’s a lot like the Pixel’s software experience, which I tend to prefer over all others. 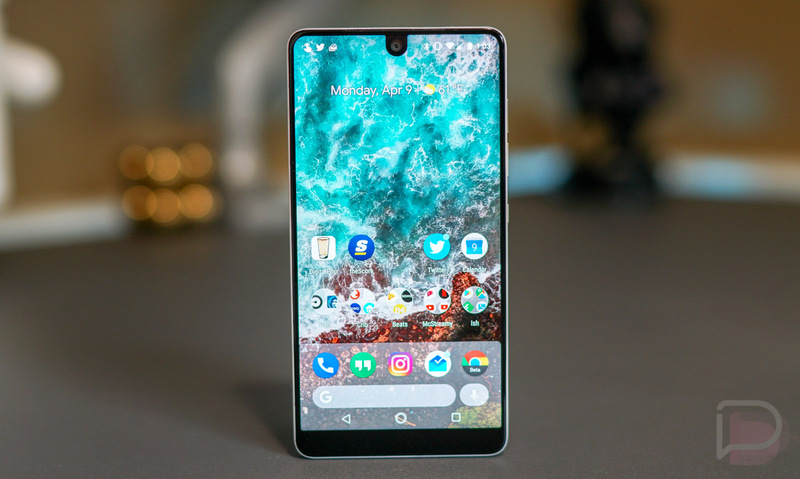 The Essential Phone also has super fast charging, universal carrier support (Verizon included), specs that keep up with everyone else in the game, a minimal footprint without logos, and a weird way of letting you know that it’s not just any other phone. There is something special about the feeling you get when this phone is in hand. I don’t know if it’s the weight of it, that lack of logos I just mentioned, or the exclusivity and fact that no one else you know will own one, but it feels unique. What I’m trying to say here, is that the Essential Phone 2 could be the same exact phone as last year’s Essential Phone, only with a properly installed and tuned display panel, as well as a new camera. Because honestly, there is nothing in the design and hardware that I don’t like. Toss in some upgraded 2018 specs (Snapdragon 845, 6GB RAM, and as much storage as they can) and I’ll buy two of ’em. What we’ll have to worry about on some level is price. When the Essential Phone launched, Andy Rubin’s crew wanted to charge a premium ($699 out of the gate) because this was supposed to be as high-end as it gets. It was supposed to be an exclusive experience that no one else was offering. A quick and permanent price drop to $500 arrived soon after launch because of its many early flaws, which has probably allowed Essential to sell some. But what will they do the second time around? Will Rubin and Essential go back to that original thought – that this premium, exclusive experience shouldn’t come cheaply? Or do they decide to play in the budget arena with OnePlus? I think it’s safe to say that we’d all be happy with Essential 2 in the $500-$600 range, I just don’t know that I believe that will happen. Essential didn’t start out to be another OnePlus. Essential set its sights on Apple, Samsung, and Google and probably wants to get back there. 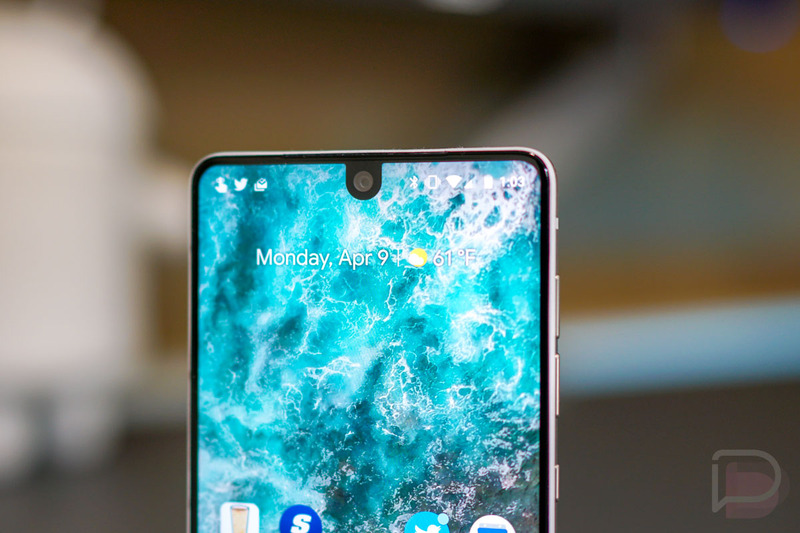 Either way, after spending months with the original Essential Phone and all of its flaws, $500 or $700 and I’m still in, as long as we fix those couple of trouble spots.